NGC 4088 is a spiral galaxy in UMa at right ascension 12:05.6 and Declination +50:33 with an apparent magnitude of 10.5 and apparent diameter of 5.8 arcmin. 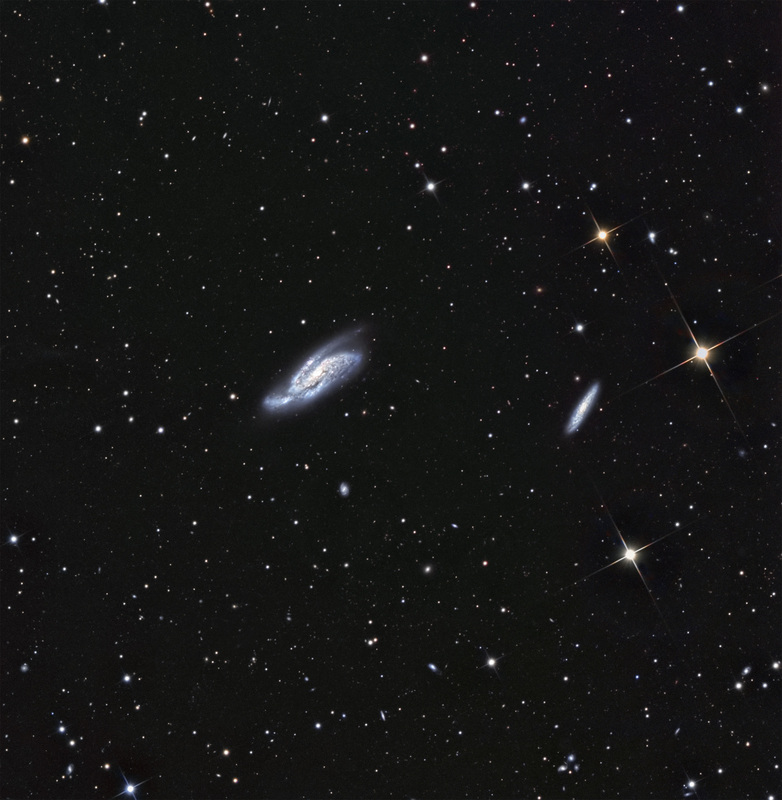 The smaller galaxy to the right is NGC 4085 approximately 11 arcmin away. NGC 4088 is a grand design galaxy with well defined spiral arms. It is included in Arp’s Atlas of Peculiar Galaxies as Arp #18. Both galaxies are members of the M109 group in UMa.